Hubo un gigante llamado Gerión que obligaba a sus súbditos a entregarla a sus hijos. Los súbditos decidieron pedir ayuda a Hércules que retó a Gerión a una pelea. Hércules derrotó a Gerión, lo entero y levantó un túmulo que corono con una gran antorcha. 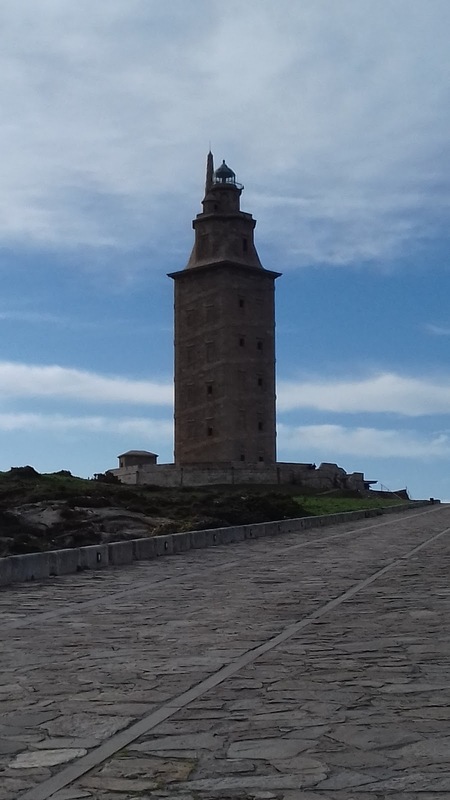 Desde entonces la torre de Hércules ilumina a los navegantes que se acercan a las tierras de Brigantium. La Torre de Hércules es el faro en antiguo más antiguo del mundo, ilumina desde los tiempos de la Antigua Roma. It's amazing that something can last that long! And I love the story behind it, too. They certainly built them to last!! I'm always in awe that such architectural feats were made with out modern technology and are still standing to show their talent! Thank you for sharing! Very statuesque...can you climb to the top and look out? Thanks for sharing. What a wonderful, fascinating tower. I've never visited that part of Spain, so I didn't know about this ancient lighthouse. Thank you so much for sharing.